Is your Year 4, 5 or 6 child a capable kid? Has your child been at the top of their class for the past couple of years? Is he or she cruising along without being really ‘stretched’ at school? Does your child enjoy learning and the company of peers of a similar advanced ability? Would a Selective School or OC class be a good social and academic ‘fit’ for your child? 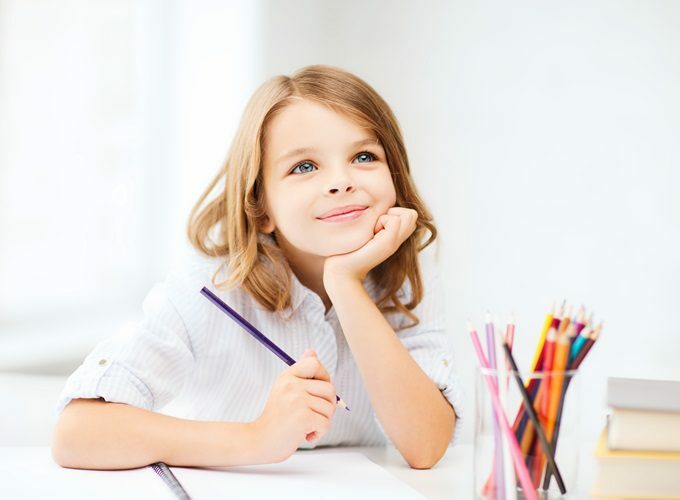 Tuition that supports your talented child’s aspirations can be very effective in helping them to prepare for the challenges of a Selective Schools, Opportunity Class or Scholarship exam, but at Kids First, we believe that tuition for talented kids needs to be more than just test practice. In our experience, children who are gifted with academic ability often enjoy a challenge, love the chance to express their ideas and find new ways to solve tricky problems. They learn best when they get the chance to interact with other, similarly talented kids who offer new perspectives, different ways to work things out and camaraderie. Of course, being accepted to a Selective School or OC Class is one thing. Having the literacy, numeracy and problem solving skills needed to thrive in a fast-paced learning environment is something quite different. No doubt you’ll want your child to be as prepared as possible…and that’s where Kids First can help. Kids First’s Selective Schools and Opportunity Class Preparation Programs are taught exclusively by qualified teachers. Since 2007, approximately 80% of our Selective Schools, Scholarship and OC Preparation students have received enrolment offers from their preferred schools. We know how to bring out the best in kids and we’ll encourage your child to make the most of their talents, achieving confident results that reflect their abilities and interests. Below, find out more about our tuition classes that support kids preparing for Selective Schools, Scholarship and OC Class entry exams. Kids First’s Selective Schools and Scholarship Preparation Programs are taught in a pressure-free environment. Our small groups will not only give your child the personal support they need to achieve their exam goals, but also to develop the creative, problem solving and advanced curriculum skills needed for success when they get to high school. Opportunity Class entry exams take place in Term 3, so in Terms 1 and 2, your Year 4 child has the chance to benefit from our Opportunity Class Preparation groups. Our small tutor groups offer a broad program of motivating and challenging activities that your capable child will enjoy with other kids of similar ability. Together, they will enjoy stimulating activities that build their familiarity with OC exam conventions and prepare them for their chance to shine. Want to know more about Kids First’s small group tuition programs, our teachers and the costs involved? Kids First’s popular Selective Schools and OC Preparation classes fill quickly. You’ll find our current timetable when you click on the image below. You can also call us on (02) 9938 5419 for more information, send us a message via the ‘How can we help? box below or email your inquiry to admin@kids-first.com.au.